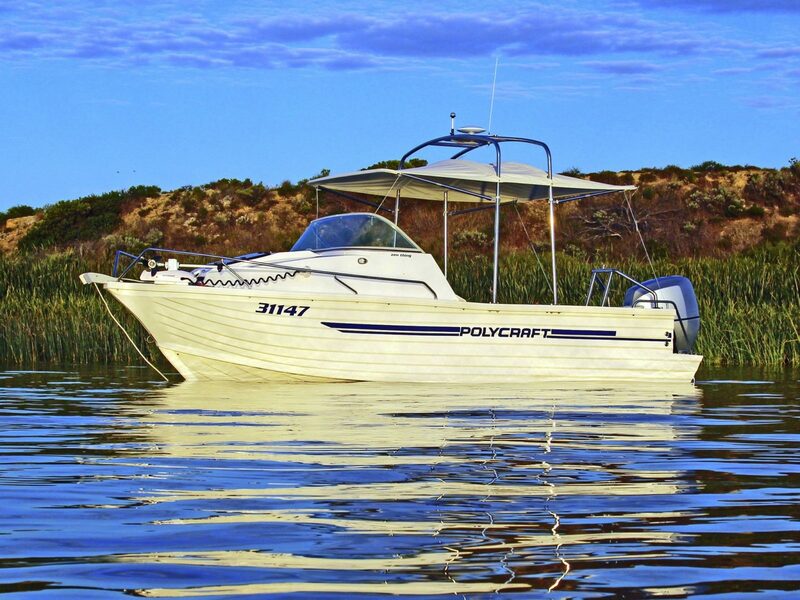 Goolwa Boating Cruises offers small group guided boat charter cruises through the single gateway to the vast inland waterways (over 6,500km’s of rivers) of the Murray-Darling Basin. Our 1 or 2 hour day charters are available all-year round and tailored for private groups or families (max 4 passengers) looking for a personalised tour experience rather than the traditional ‘off-the-shelf’ cruise. Crusing through shallow, protected, inland fresh water with ZERO dangerous creatures, it is one of the safest boating environments in Australia. 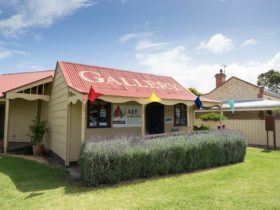 Just over an hours’ drive from Adelaide, Goolwa is the tenth oldest town in South Australia and the birthplace of Australia’s paddle-steamer river trade. 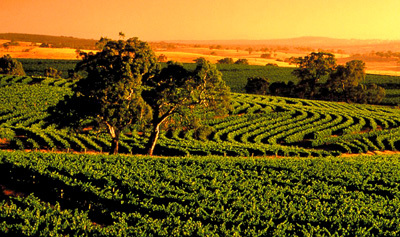 Heading to Goolwa via the Fleurieu peninsula and then returning via the Adelaide Hills, visitors can also view the unique & varied landscape that was home to many of the earliest settlers of the state. A boat charter with Goolwa Boating Cruises is the most relaxing way to see the natural beauty of the fourth largest river system in the world, gain a unique understanding as to the creation & early development of South Australia and how the Port of Goolwa was the spark for the expansion & settlement of vast areas of inland Australia. 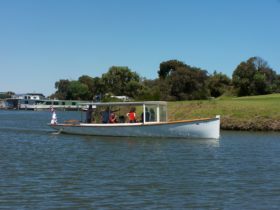 Goolwa is the boating gateway to the vast inland waterways (over 6,500km’s of rivers) of the Murray-Darling Basin and the birthplace of the paddle-steamer river trade. With Australia’s first public railway (the first government railway of the entire British Empire in fact) the South Coast was a major national & international transport hub, with Goolwa the spark for development of the Fleurieu Peninsula including Middleton, Port Elliot & Victor Harbor as well as many upstream river towns & regions. 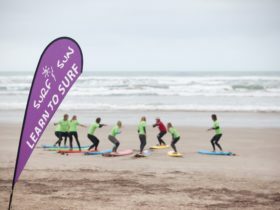 With the river trade providing access to huge areas (14%) of inland Australia ideal for agriculture, Goolwa played a major role in the multi-cultural settlement of Australia across the province of SA and the colonies of VIC & NSW (now also QLD). Our two hour cruise takes you to the Goolwa Barrage, through the Coorong Quays Marina and under the Hindmarsh Island bridge, learning all about the unique Lower Lakes environment, the history of South Australia’s early settlement & the politics of colonisation and water – and how they still affect Goolwa and the Murray River today. 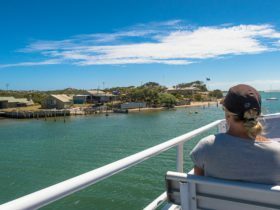 Launching this summer is one of SA’s most exciting evening cruises from the Coorong Quays marina on Hindmarsh Island – with spectacular views you can only truly appreciate from the water. 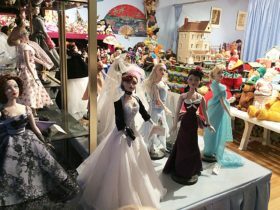 Goolwa is just over an hour’s drive from Adelaide, then just park the car, sit back, relax and enjoy the natural beauty of the sun setting over the Goolwa township and then discover the wonderful effect of house & garden christmas light displays as they reflect off the safe & protected waters of the marina. 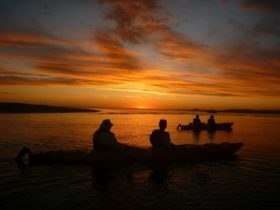 Ideal for small groups of familes or friends (maximum of 4) with daylight saving the ‘just before’ sunset departure is perfect for relaxing after dinner at one of our wonderful local eateries. The entire cruise is serene, comfortable, relaxing and only operates at walking pace. BYO food & drinks are also welcome. For the ultimate in convenience, if you are staying at a Coorong Quays waterfront property, we can normally collect you directly from the house. Between Dec 7 & Jan 6 the Coorong Quays are conducting the inaugural Christmas Lights display competition, so you can even cast your vote for the best display and support the residents who provide these wonderful displays.